It’s Monday, May 14th, 2012 and that means we’re just about to hit the deadline to submit something to Project Remake! But honestly, it’s been fun just watching all the new entries, and by continually bugging the other members, we’ve now got 6 projects that came from Milwaukee Makerspace, and that’s pretty cool. We actually take a lot of pride in the amount of scrounging and re-use we do at the space, so even if none of us win, we’ll just keep remaking things anyway, because it’s what we do, and we have fun doing it. 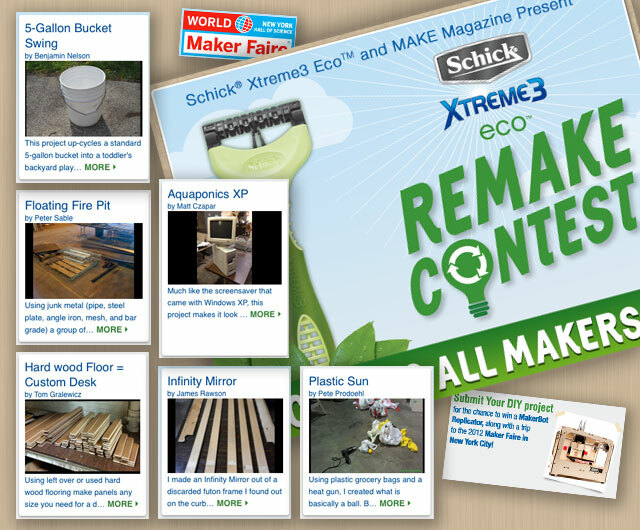 This entry was posted in Uncategorized and tagged contest, make, makerbot, remake. Bookmark the permalink.